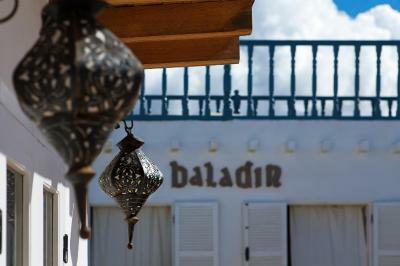 Lock in a great price for Riad Baladin – rated 9 by recent guests! 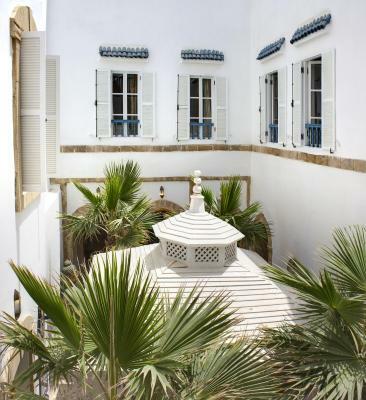 Lovely riad in a great location. Staff were very friendly and helpful. 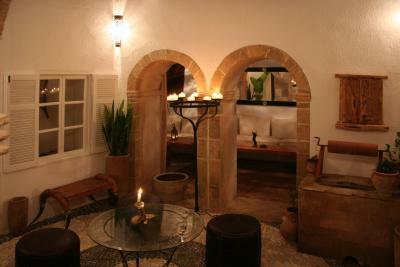 Room was attractive and comfortable as was the terrace with all it's different seating areas. We really enjoyed our stay in Essaouria - very chilled with some great restaurants. Cozy place. Great service from the lady host. Highly recommended. 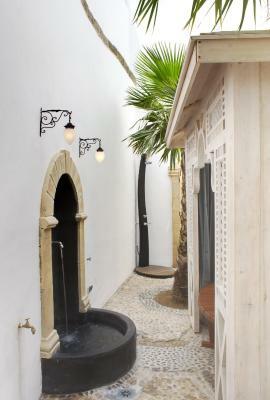 Charming Riad in the heart of the Médina. We had the room on the top terrace and it was great. Staff were fantastic and looked after us. We celebrated our Anniversary and they arranged a cake for us. Damien’s eating suggestions were fantastic and made our celebration dinner special. Kettle and tea bags was a plus, room is cleaned every morning. Riad is very central. 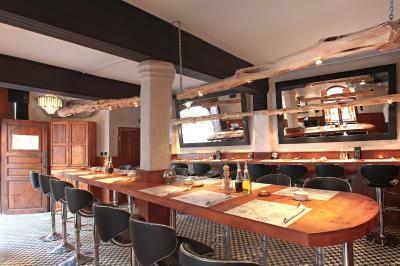 Around the corner of the riad is a very nice restaurant for lunch / dinner, triskala! 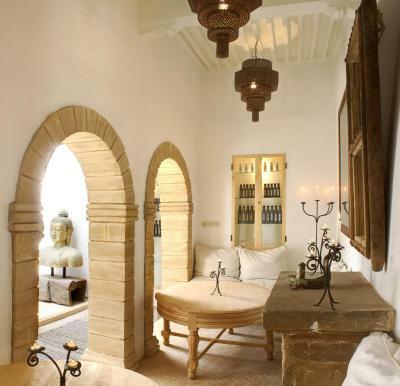 A very nice Riad. Our room was great and spacious, and very comfortable. The staff was amazing. We were received by Damien, and he is a very nice person. Gave us good tips on what to see, and where to eat. It was very helpful. The location is very good too. 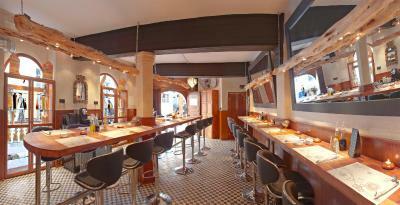 Great style, warm and inviting space and staff. Lovely decor and rooftop terrace. 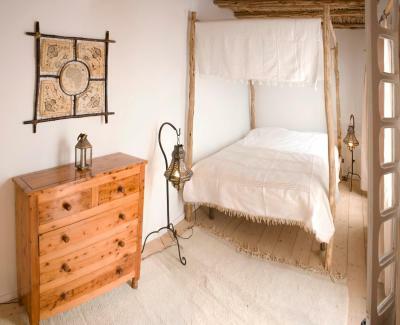 The riad is very welcoming, the room is cosy and really well decorated! 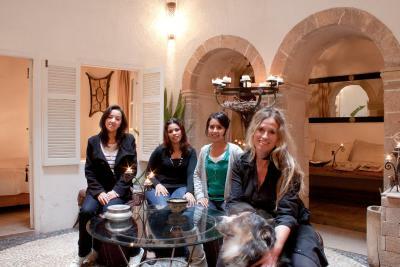 The staff was very nice and welcoming, the host was super helpfull organising all our trips and had really good tips! 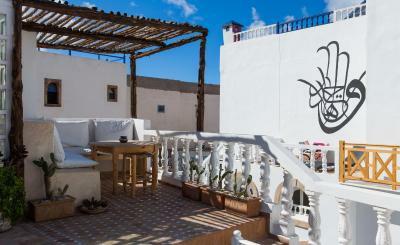 We had a really nice stay and are keeping an amazing memories of essaouira and the riad! 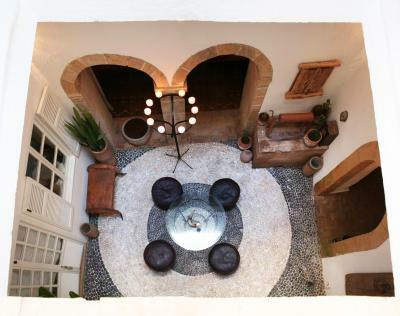 Beautiful Riad in the middle of the Medina of Essaouira. Although the manager was on holidays, everything was done and organised exceptionally. Khadija who was in charge managed everything to the highest standards. She is a lady full of energy and the hints and tips she gave us during our stay were more than just helpful. 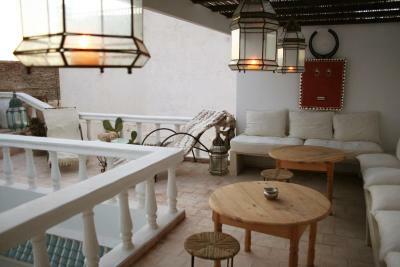 The Riad is very clean and the breakfast on the terrace was fabulous. Good that they had warm blankets and duvets because it was unexpectedly cold in Essaouira. However, we always slept really well in our bed. On our departure day we had to leave extremely early - 4:30am - and even with such an early start we got a 'breakfast' package with us on our way to Agadir. What else can somebody ask for??? Where to begin! Riad Baladin was by far our favorite riad we visited in Morocco. It exceeded expectations in every regard. 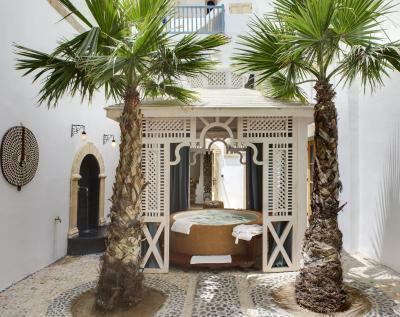 The room was beautiful and comfortable, the shared spaces were clean and inviting, and the jacuzzi was perfect after a long day of walking around Essaouira. The rooftop breakfast was delicious and our favorite breakfast we had in Morocco. The whole place was cohesive, light, and breezy. The value for the money is unbeatable. The real highlight of staying at Riad Baladin was our host, Damien. He was unbelievably helpful and attentive. He told us all of the best places to go and things to do in Essaouira and even marked them all on a map for us. He let us move from a twin room to a double room with no extra charge. 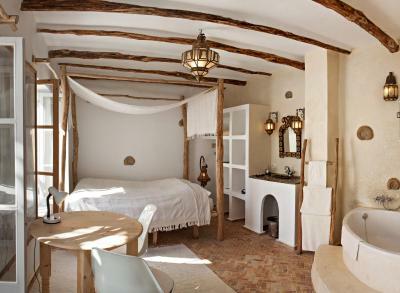 All of his recommendations were fabulous and made our trip to Essaouira one to remember. Thank you Damien for being our guide. 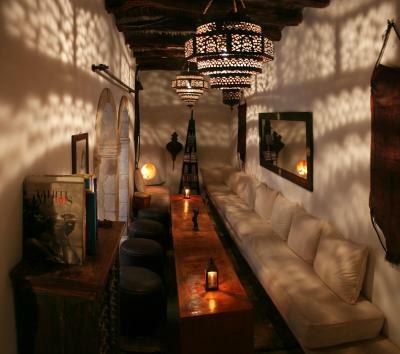 One of our top picks in Essaouira.Offering a restaurant, Riad Baladin is located in Essaouira. An array of activities can be enjoyed on site or in the surroundings, including surfing. Free WiFi access is available in all areas. 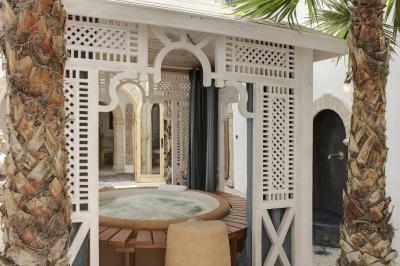 At Riad Baladin you will find a hot tub, a 24-hour front desk, a garden and a terrace with a sea view. Other facilities offered at the property include a shared lounge, a tour desk and luggage storage. Essaouira Mogador Airport is 9.3 mi away. 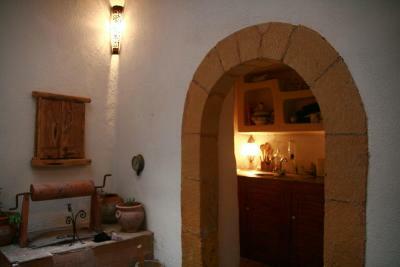 뀐 Located in the real heart of Essaouira, this property has an excellent location score of 9.5! 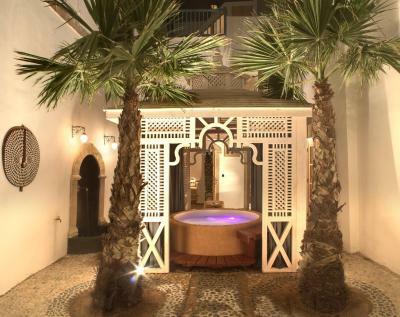 When would you like to stay at Riad Baladin? This single room features a electric kettle and located in the 1st floor. It features a patio view and a private bathroom with shower and hairdryer. Located in the 3rd floor, this double room offers a terrace and a private bathroom with shower and hairdryer. Located in the 1st floor, this double room offers a patio view and a private bathroom with shower, a hot tub and hairdryer. This room features seating area, a patio view, and a fireplace. 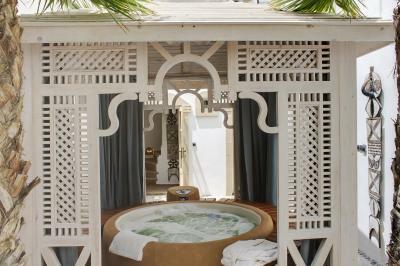 The private bathroom offers a shower and hairdryer. This double room has a fireplace, seating area and bath tub. Located in the 1st floor, this triple room features an electric kettle. The private bathroom offers shower and hairdryer. This twin room is located in the 1st floor and offers an electric kettle and a patio view. It includes a private bathroom. This family room is located 2nd floor and features a electric kettle and a patio view to the patio. The bathroom is fitted with shower and hairdryer. House Rules Riad Baladin takes special requests – add in the next step! Please inform Riad Baladin of your expected arrival time in advance. You can use the Special Requests box when booking, or contact the property directly using the contact details in your confirmation. The place feels more like a high-end hostel. Quite worn out and rickety too. Beautiful Riad loved our room ! I find for the price and quality of the hotel which is excellent !!!! should include toiletries like soap , shampoo etc that would make it complete . For the quality it offers and price it charged a Shampoo and bath wash would be a MUST and appreciated . The breakfast was delicious . The girl at réception was so lovely I believe her name was Mona she was new and so pleasant she loved her job .... what a warm greeting we received ! Exceptionally helpful manager gave us great info on what to do in Essaouira. 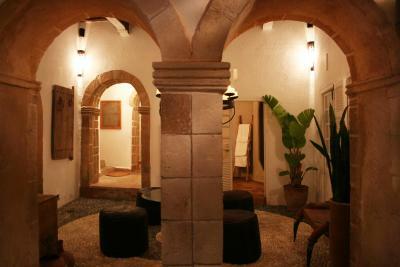 Great location, right in the center of attractions in Essouira. 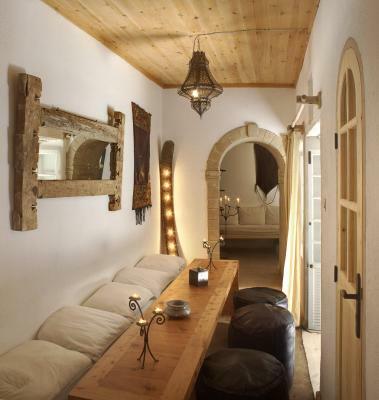 Very Bohemian style Riad that reminds me a little of Greece in its architecture, colours and decor. Damien was very helpful on check in with directions, locations, amenities, resto suggestions etc. Would certainly stay here again! Due to the high humidity at spring time the towels and bed sheets were a bit clammy. The rooftop is great and has a nice view over the historic center and the ocean. 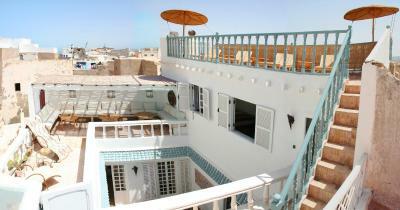 We stayed in a self catering Riad (Maat Riad). It was roomy for 3 people. 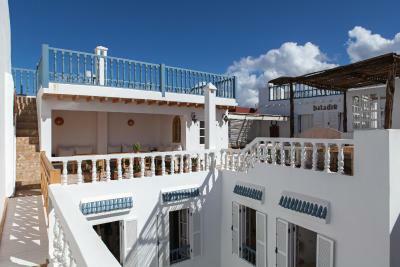 Two double bedrooms, kitchen, bathroom, sitting room, courtyard where we ate and rooftop terrace. It had all amenities, utensils you could ask for, plenty of towels, blankets and heaters. It was 10 minutes walk from the main Medina square but quiet in the Riad. Jamel and Maat who looked after us were very good although they didn't speak English. Instead they had neighbours who would come along to interprete for them. Particularily good were Shakira and Nacer who ran Kammy Hostel opposite our Riad. They both spoke English, cooked meals for us if we asked and would arrange taxis. Staff and service just great. They make you feel at home and give you lots of insight tips. Bathroom need some small renovation but still is clean and comfortable! 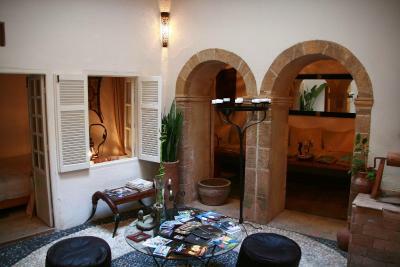 Very nice riad, well decorated, comfortable, extra clean and well located. Manager was very nice , talk with as a lot and gave us a lot of tips about places to visit. Love the clean white sheets, comfy bed, beautiful decor and super helpful staffs. Great character, much charm and with a great rooftop terrace in the perfect location.